To add new contact(s)go to the main menu and click "address book". Select “Add New Contact” from the drop down menu on the Address book tab. 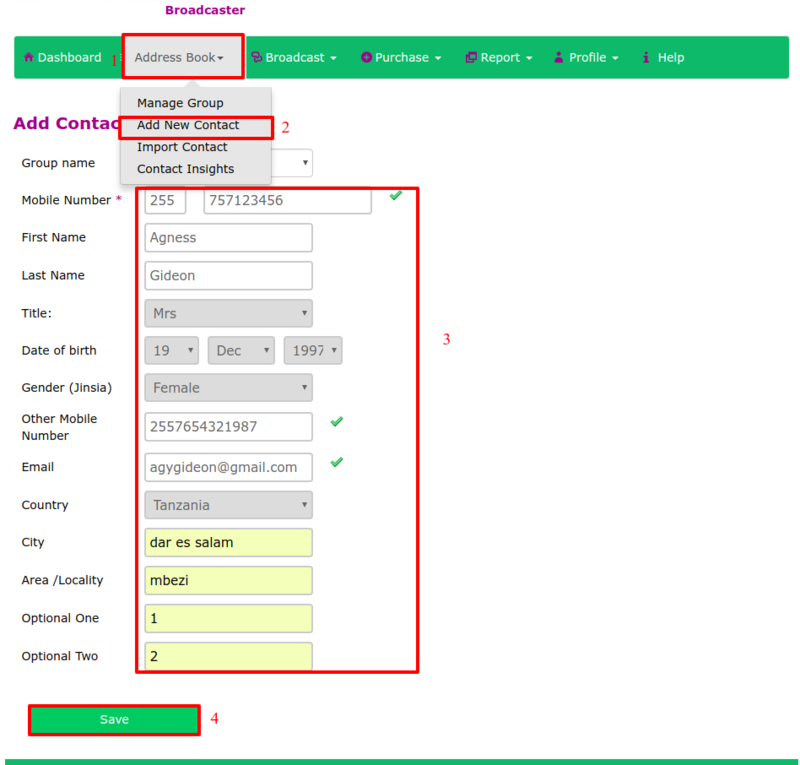 then after step (4) you will get a notification "contact added successfully".